Pierre Robin Australia is a not for profit community health charity, providing Information, Support and Education to those affected by Pierre Robin Sequence (PRS) and associated conditions. 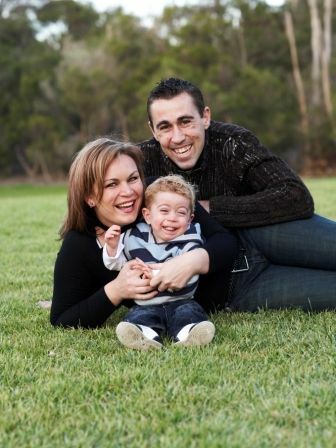 Pierre Robin Australia began as a social parent support group in early 2008, after parents of a child born with the condition struggled to find assistance. Through dedication and the generous support of many, Pierre Robin Australia was formed. As the only registered organisation for Pierre Robin within Australia, we proudly work in support of our members to empower them in managing and living with the condition. Pierre Robin Australia is a community health promotion charity which exists to provide Information, Support and Education to sufferers, families and carers of children diagnosed with Pierre Robin Syndrome/Sequence (PRS) and associated conditions. Our aim is to create a strong peer support network to assist information exchange and increase social interaction opportunities for families and carers, to help them cope with the high level medical, physical, social, emotional and developmental needs of managing the condition. The demands of Pierre Robin Sequence can put extreme stress on families and this peer support helps to reduce the feelings of isolation and depression that many families and carers experience following diagnosis and through the years ahead. Pierre Robin Australia also aims to build a solid information bank in assistance with doctors and specialists in various fields, that can be provided to families to help educate them on their child's condition and advise them of the many forms of support services and assistance available to them. We are constantly working to increase public and professional awareness and understanding of the condition and help individuals to recognize the ongoing needs of sufferers, increasing opportunities for their future. Our members and volunteers consist of parents, relatives, caregivers, friends, specialists and professionals who all have a shared interest in PRS. There are many issues associated with PRS, which are unique to the condition and caring for a child with additional needs can be overwhelming. Through our services, members receive the support they need today and gain friendships they’ll keep well into tomorrow. In September 2006, Mick and Jacinta Cannon were joined in the world by their new baby boy, Balin. Born blue and in distress, Balin was rushed to the neo-natal intensive care unit before his mother ever got to hold him. It would be two hours before she would learn he had survived. Two days later, Mick and Jacinta noticed a comment in Balin’s medical file- “Pierre Robin Syndrome?” Uninformed, they queried this with the rounds doctors who advised that this was in fact the diagnosis Balin had been given to date. This is how they learned of the diagnosis for their beloved son. The next morning, 2 pages of printed information from the internet were left by Balin’s crib. This basic overview prompted more questions, of which no one had answers. Like all modern day individuals they turned to the internet for knowledge, but instead of power this brought confusion and despair. So much of the available information portrayed “worst case” scenarios and conflicting opinions. That’s when they decided that no one should ever have to go through this alone again. You can read more of Balin's story here.